You are at:Home»Android»Razer Phone Review: The Number One Smartphone for Gamers? Razer Phone Review: The Number One Smartphone for Gamers? The first ever smartphone from computer company RAZER divides opinion. Either people love it or hate it. Check out the video below to see what we made of the Razer Phone. “Made by gamers for gamers” is how the Razer Phone was described at its launch event in London’s Science Museum. And it’s a point I feel has been unfairly used to labour criticisms of this first smartphone from the computer and gaming specialists. The Razer Phone, was naturally labelled “a gaming phone” but that’s not quite accurate. It’s, as they described it themselves: for gamers, but that doesn’t mean it’s going to compete against a PSP or Switch for raw power, performance or functionality (no headphone jack or physical controls for example). 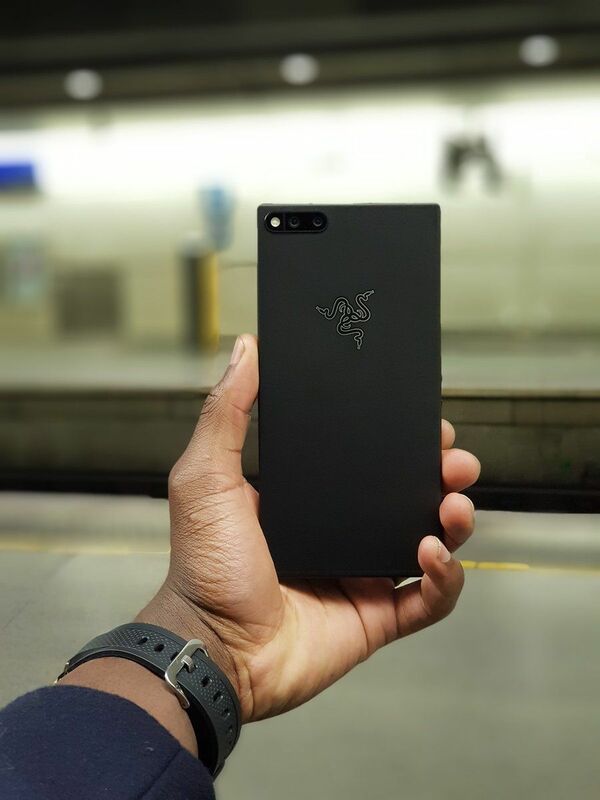 Lest we forget friends, the Razer Phone still first and foremost a smartphone. It just has a kickass screen refresh rate (60/90/120Hz), all of the RAM (8GB) and dual front-facing speakers that are second to none. Those features enable it to deliver a buttery smooth user interface, eclipsing Google’s own Pixel 2XL for clarity and smoothness. And mobile games look better on this phone than any other and that will continue to be the case as more developers work with Razer to optimise their gaming experiences for a 120Hz display. Then there are criticisms of its box-like, brutalist metal body. It looks odd in a sea of bezel-less smartphones with curved bodies and edge-to-edge displays. But its cool metal, matte black finish and embossed logo (sadly it doesn’t light up) is almost everything you’d expect from Razer. It’s intentional and bold. And besides, you couldn’t deliver the Razer Phone’s incredible audio capabilities in a phone with no bezels. For gaming on a phone and watching media, the Razer Phone is one of, if not the best device currently on the market. That’s why we named it as “Best for Gaming and Media” in our inaugural annual best smartphones round-up. The things that hold it back are its lacklustre camera performance and omission of a 3.5mm headphone jack. However, Razer has owned the first flaw and is continually updating its camera functions and capabilities. And the lack of a headphone jack is somewhat negated by the fact that Razer provides a USB-C to 3.5mm jack adapter with built-in Digital to Analogue Convertor (DAC) included in the box. The DAC ensures audio-quality is richly textured and impactful with headphones, as well as without. Check out the video above now for our real-world review and share your thoughts in the comments below or with us via social media. Dual camera: 12MP (f/1.8, 25mm), 12MP (f/2.6, telephoto enabling 2x lossless zoom, phase detection AF, HDR, up to 4K/30 video.